Do you enjoy building new client relationships to grow an already existing and successful federal tax practice? Are you ready to make a greater impact on organizations by having the right people on your team to combine tax consulting solutions and innovative technology that align the tax function with business objectives, including for the additional business you bring in? We are looking for a sharp, analytical Federal Senior Tax Manager to join the Business Tax Services practice who is ready to assist in growing and maintaining the largest tax group within Deloitte. 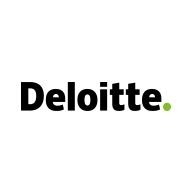 Identifying client needs and leveraging Deloitte’s range of services and extensive resources to meet those needs and cross sell among various lines of service. Acting as a trusted business advisor to clients on a variety of issues including federal tax planning, accounting for income taxes, FTA (periods, methods & credits), tax provisions, tax compliance, business restructuring, and tax controversy. Assisting with drafting and presenting proposals to new and existing clients. At Deloitte Tax LLP, our Business Tax Services team provides expertise to clients to gain a competitive advantage by integrating tax strategy into their business operations while working within the confines of their individual risk profiles. Business Tax subject matter experts and industry specialists provide services relevant to our client’s business. Our team will assist with global tax challenges and transform the tax department to create greater impact and efficiency within our client’s organization. Our spectrum of business tax services are relevant for public and private companies and range from tax planning to tax compliance, controversy and risk management, specialized services including research and development, government incentives, and tax management consulting. Join us, and help clients optimize their tax functions and take strategy to the next level. Learn more about Deloitte Business Tax Services.